As I embark on this fascinating journey towards the publication of my first novel, I will share with you some of the insights and discoveries I have made along the way. 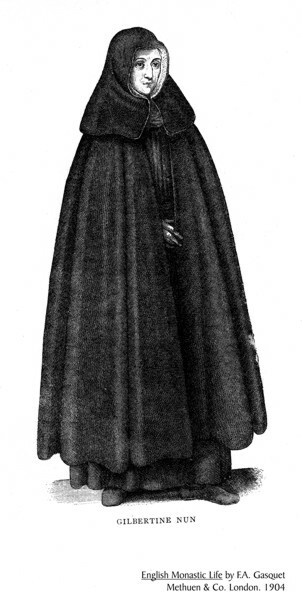 The Gilbertine Order was founded in approximately 1130 by Saint Gilbert in Sempringham, Lincolnshire, England. St. Gilbert was the parish priest of Sempringham. Quite interestingly, it was the only completely English religious order, and came to an end in the 16th century at the time of the Dissolution of the Monasteries. Another interesting fact is that the Gilbertine Order allowed Monasteries and Convents to be built near each other or together and to make use of the same church. This came about after St Gilbert of Sempringham, who originally wished to found a men's order, found that to be impossible to do. Instead, he accepted seven women whom he had taught in the village school. 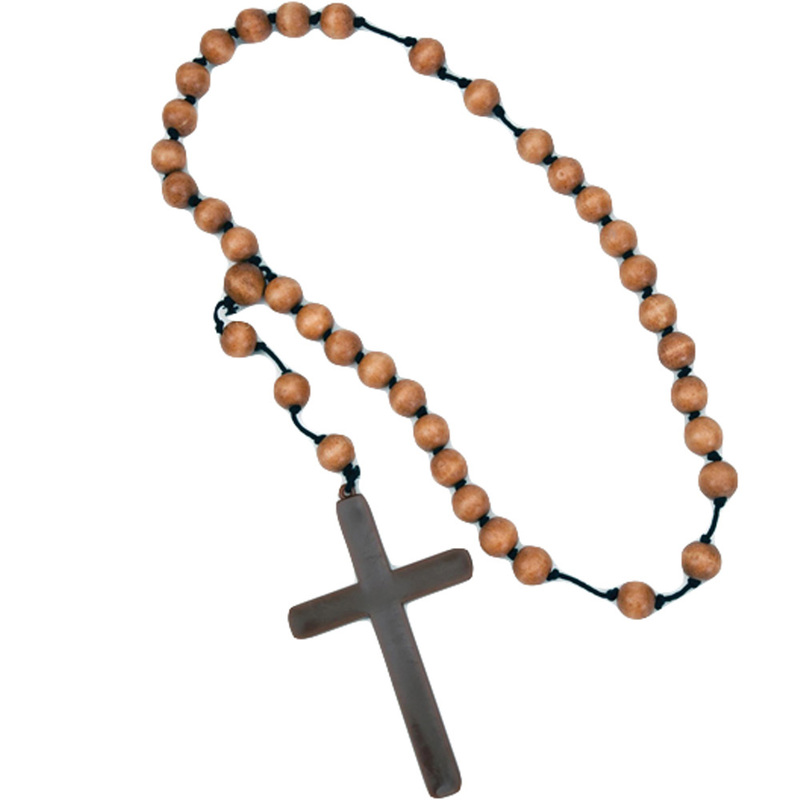 In 1131 he founded an order of nuns based on the Cistercian Rule. 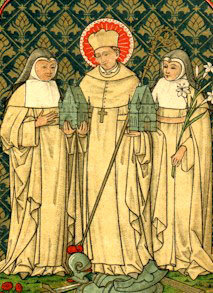 Eventually, Gilbert added lay sisters to do the daily chores of his religious house, so that the nuns could attend to their duties, and lay brothers to work in the fields. In 1139 the small order opened its first new foundation on the island of Haverholm, a gift from Alexander, Bishop of Lincoln. New foundations were established over the years, and Gilbert became overwhelmed with his task. In 1147 he left England for France to seek assistance from the Cistercian Order Cîteaux. He asked them to take on the running of his foundations. The Cistercians declined because they felt unable to administer houses for both men and women, but Pope Eugenius III, (who was also a Cistercian) intervened to ask the abbot, Saint Bernard of Clairvaux, to assist Gilbert in drawing up Institutes for a new Order. 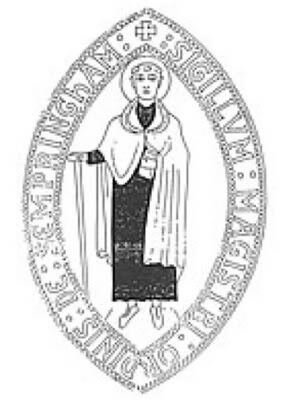 Pope Eugenius then appointed Gilbert as the first Master of the Order of Sempringham or Gilbertines. They wore black cassocks with white hood and scapular, believing that from heaven they would appear as white crosses on black backgrounds. Interestingly in a time of male dominance, the Gilbertine churches were divided into two parts and shared - with the nuns taking the larger half. There were 26 Gilbertine 'houses' by the time of the dissolution. 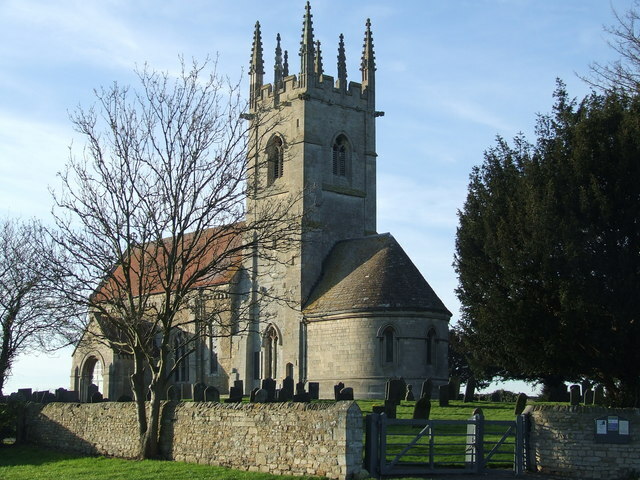 In 1983, after the celebrations for the nine hundredth anniversary of St. Gilbert's birth, a number of lay people in the East Midlands of England undertook to sustain the memory and work of Gilbert and the Gilbertine Order by establishing a new secular Order. The Oblates of St Gilbert exist to promote the Gilbertine contemplative spirit and to foster interest in the study of Gilbert and his Order. They are supported by the Cistercian monastery of Mount St Bernard Abbey in Leicestershire, England.